A Personal Assistant is someone you select to be backstage with your dancer during their show and dress rehearsals. All dancers age 8 and under must provide their own personal assistant for caring for them backstage. Personal Assistants ensure the highest level of comfort and safety for your child allowing parents to relax and enjoy the show. Best choices: your regular babysitter, a teen sibling or cousin or someone close to your family. Why Does My Dancer Need A Personal Assistant? 5) to protect your child in case of emergency evacuation from the building. Personal assistants are not allowed to be in the audience at any time during the show or rehearsals. Ushers will only allow patrons to enter the theatre if they have a ticket. The show is displayed on a large screen backstage so you can see your dancer and know when they will be performing and returning to their backstage room. Up to three dancers may share one PA. Please do not share your PA if you have many costume changes. PAs must be the same gender as the dancer and must be 12 & over. 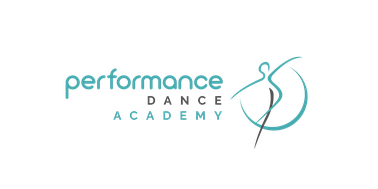 It is highly recommended your PA attend your dancers dress rehearsal so they know how to properly get your dancer ready, change hair (if required), and the order or your dancers routines. PDA does not provide PA's, nor find them for you; however we will sponsor your PA for their high school community service hours. Please bring their Community Service Booklet with you to the dressing rooms after the show is finished for a staff signature. Dancers 13 & up should bring a PA if they have many costume changes. Dancers 8 and under without a PA will not be allowed to participate in the rehearsals and the shows. Parents who have been backstage at other local studios have commented year after year how organized PDA is, and how safe the students are in comparison to studios where one mom watches over 30 children at a time. We are PDA proud that your child's safety and comfort during the rehearsal and show is our priority!